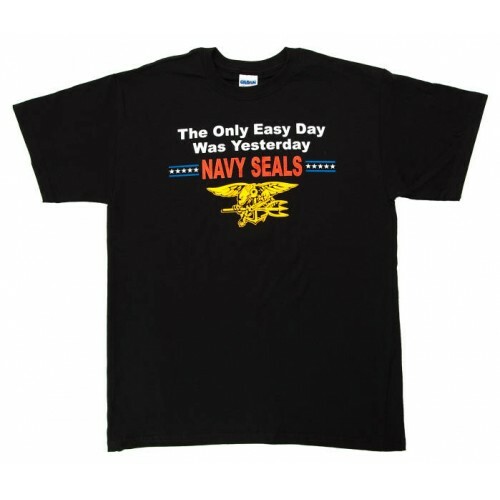 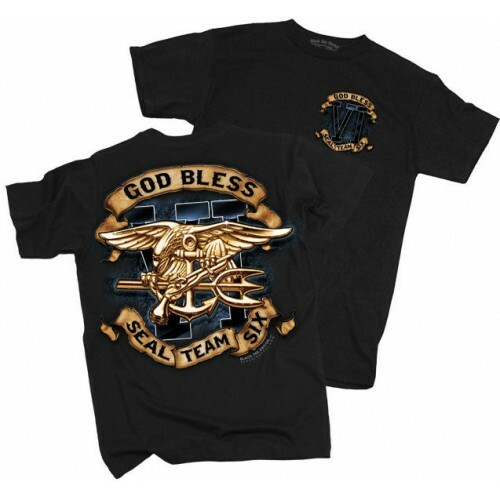 This outstanding T-shirt allows you to show your pride for the United States Navy SEALs. 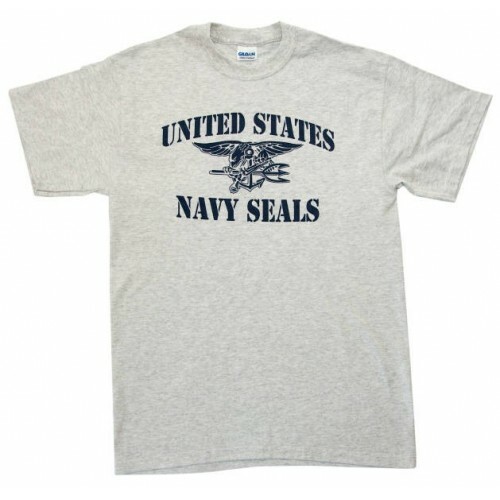 By wearing it you tell the world that you are proud of the many sacrifices made by the SEALs. 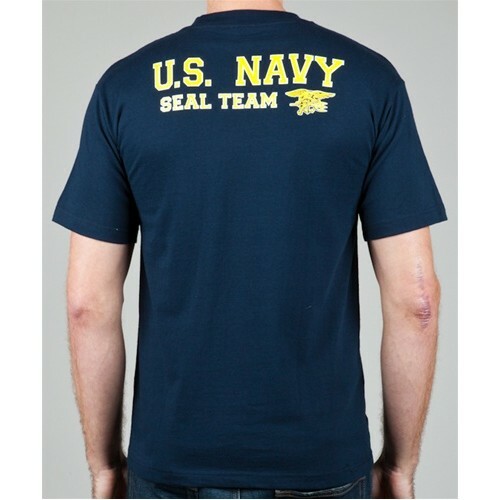 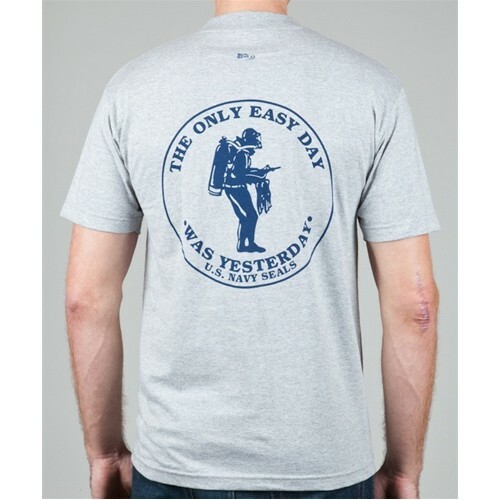 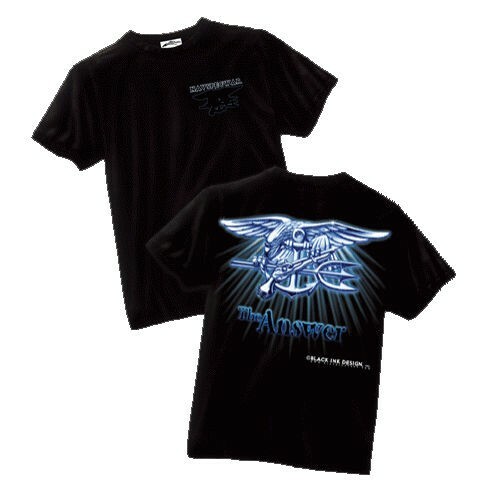 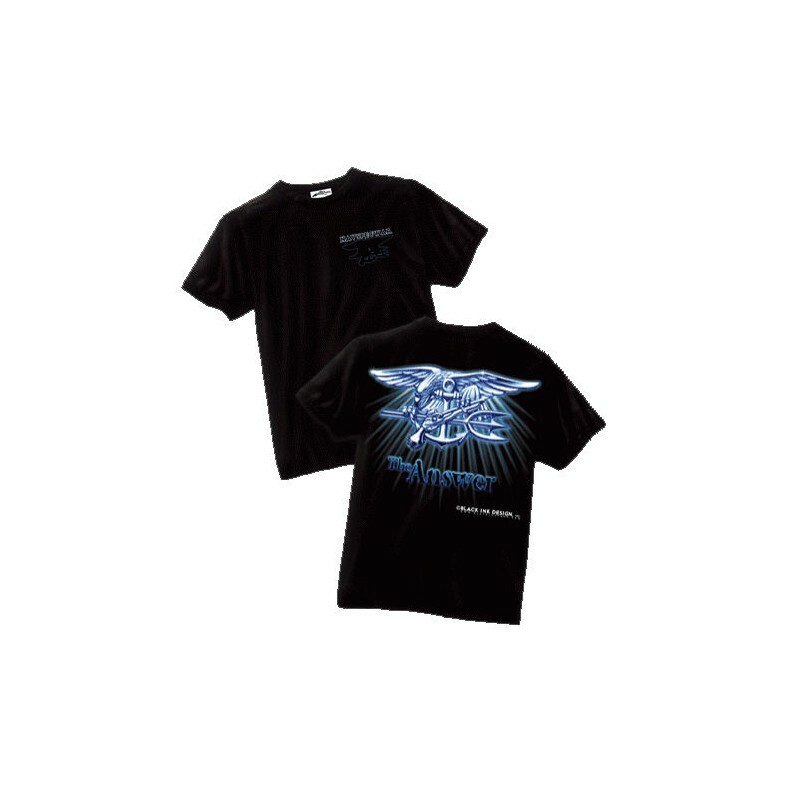 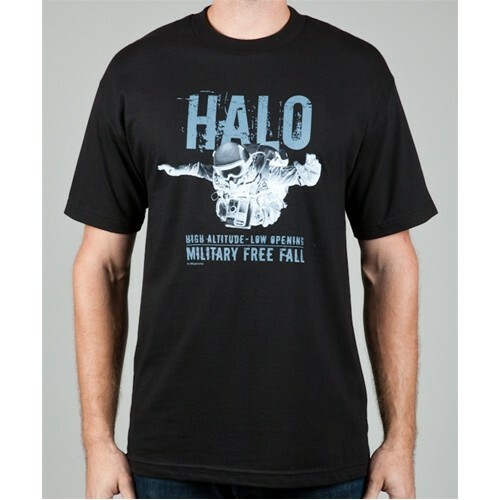 T-shirt features the SEALs insignia on the backside in brilliant silver/blue with ”The Answer” underneath. 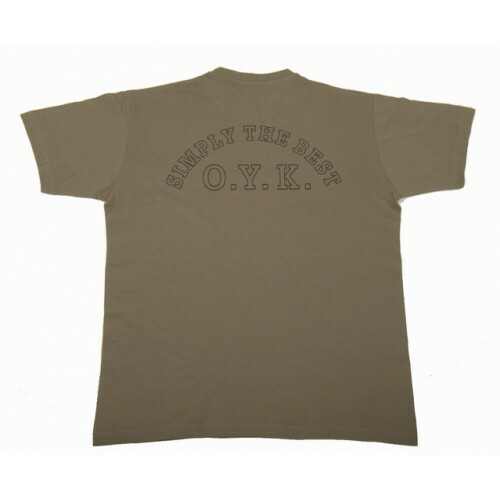 The front features a smaller motif on the left chest. 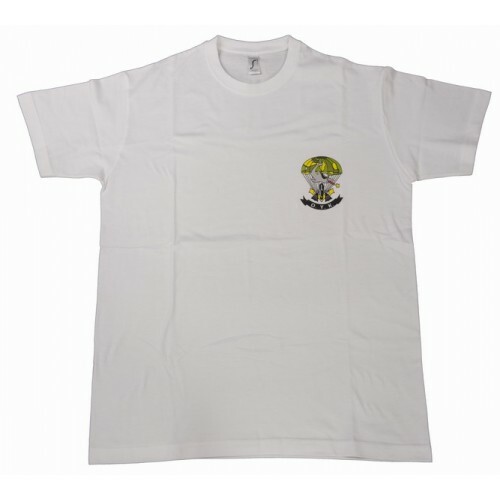 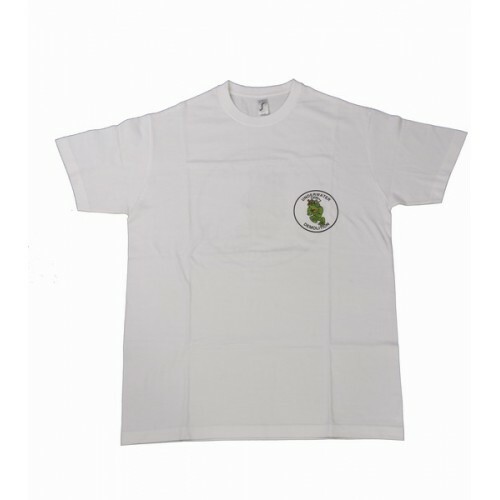 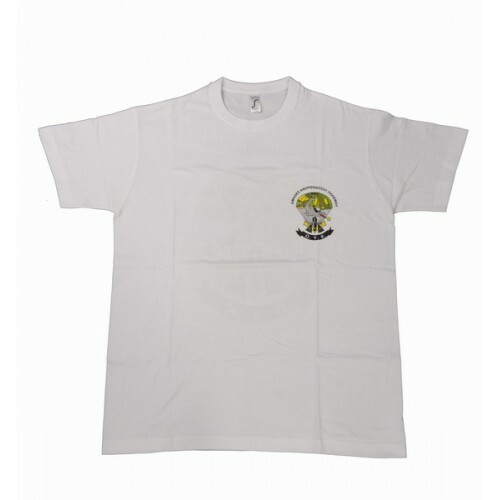 Shirt is made of high quality 100% cotton.